After an interesting winter, we are ready to say “hello” to Spring. Here in the Pacific Northwest, spring means temperatures in the 60s, light rains, blossoming trees and the annual anticipation of “bud break” in the vineyards. Here are the some of the seasonal treats we look forward to this time of year, and we hope you will come see for yourself why these are the top five things to do this spring. As spring continues its slow walk to summer, wildflowers start to bloom in the valley. 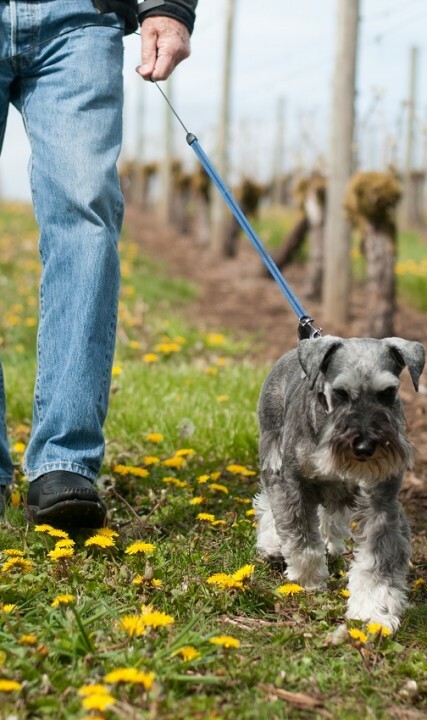 Whether you opt for a drive along the countryside on the Vineyard and Valley Scenic Tour Route, or a leisurely walk through a nature park, you will be greeted with the bright and cheerful colors of spring. Two of our favorite spots for native plants and flowers are Cooper Mountain Nature Park and Tualatin Hills Nature Center. 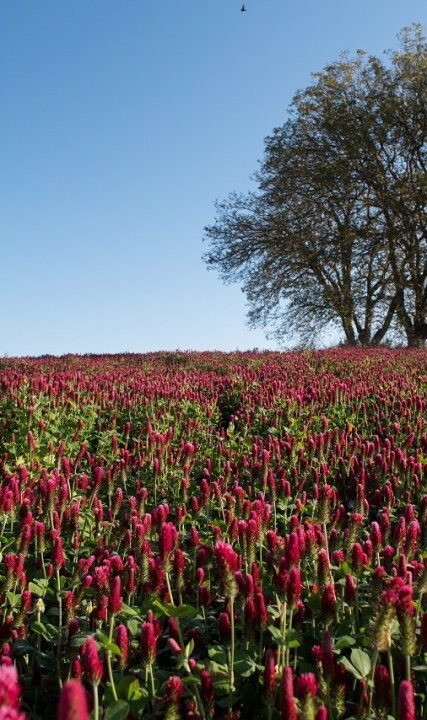 In the spring, Tualatin Valley is awash in fields of maroon clover. 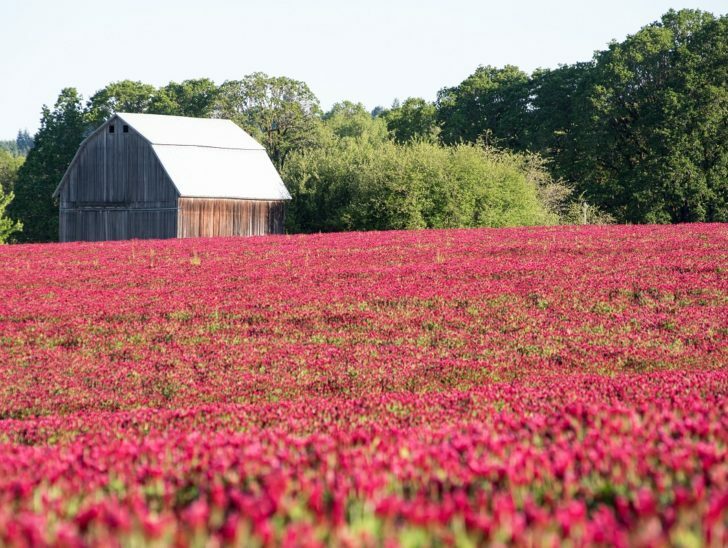 As these red clover fields become peppered with white as spring turns into summer, you’ll have a driver-side view of one of Oregon’s most beautiful crops. Our favorite clover fields can be spotted along Helvetia Road, just north of Highway 26. Another favorite spot is across from the tasting room at Ruby Vineyards. And while humans don’t eat clover and it’s not a hot-selling item in spring bouquets, bees love clover, and it shows in the clover honey you can pick up at Smith Berry Barn. Throughout the year, many species emerge at wetlands, preserves and nature parks throughout Tualatin Valley. However, April is the best month for birdwatching, when colorful songbirds head north on the Pacific Flyway and make a stop in Tualatin Valley, bringing their delightful chirps to the spring air. These are just some of the best things to do here this spring. Whatever your interests, we would love to see you here in Tualatin Valley. 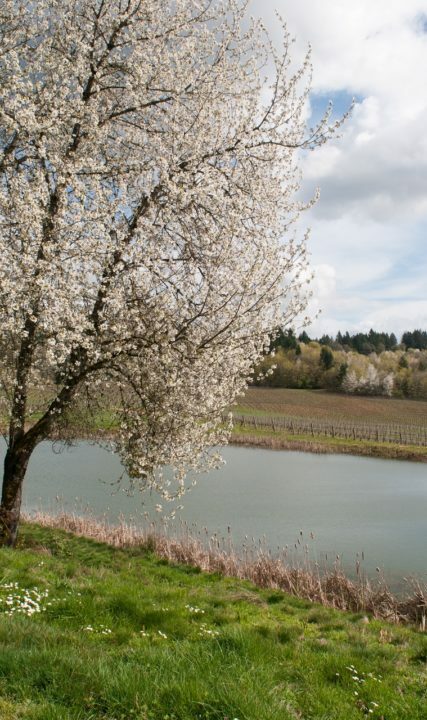 Here in Tualatin Valley, spring is a special time of the year. While the vineyards' bud break is still weeks away, wine tasting rooms are bustling with activity as the days start getting longer. In the forests and nature parks and on farms, little pops of green and yellow are starting to emerge from the soil. Soon, songbirds will be making their way through the valley, brightening the day with their vibrant colors and beautiful songs.